CANVAS CORP-Decorative Clothespins. These painted black clothespins make a unique finishing touch on almost any project. Use them to make banners, attach them to scrapbook pages, or make a unique home decor piece with them. 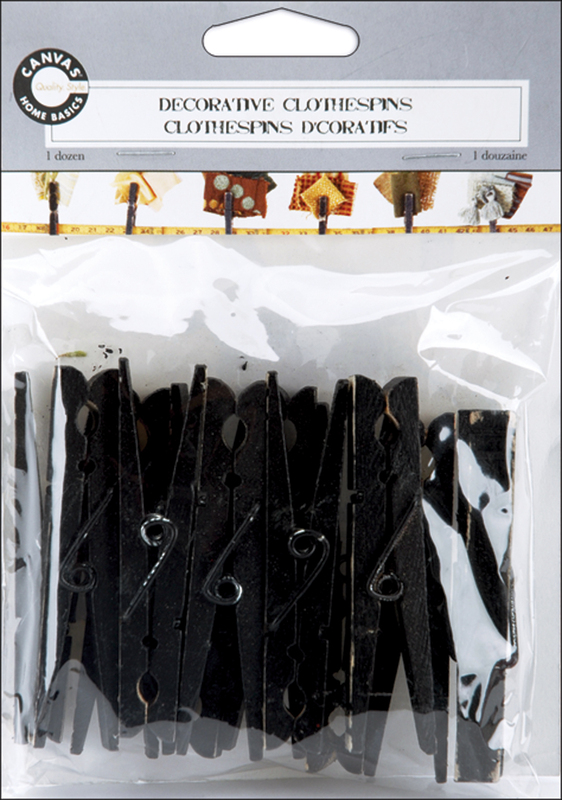 This package contains twelve distressed black 3-1/4 inch clothespins. Imported. Imported.